Elena has been successfully developing educational programming since 2009. She started her art world journey at Skate’s Art Market Research where she organized international art business conferences and created online education courses. Elena then began exploring the tech + art space at Collectrium (Christie’s), a cloud-based collection management software company. In 2017, Elena launched New Art Academy – an innovative approach in fusing continuing education and a panel of experts all within roaming event spaces around New York City. 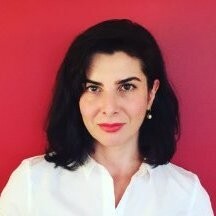 Elena has currently developed a strategic partnership with Forbes to take her concept to a larger audience and spotlight the art markets most innovative thought leaders; focused on blockchain and other groundbreaking technology.